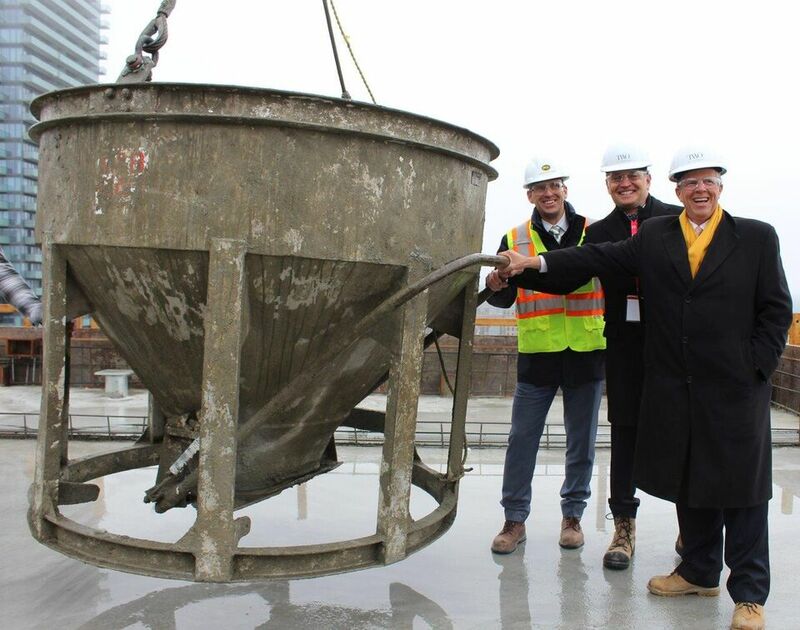 Construction of Bentall Kennedy and KingSett Capital‘s 2 St. Thomas reached an important milestone last week, when representatives from the two developers gathered to celebrate the official topping out of the new Hariri Pontarini-designed luxury rental development in Toronto’s posh Yorkville area. 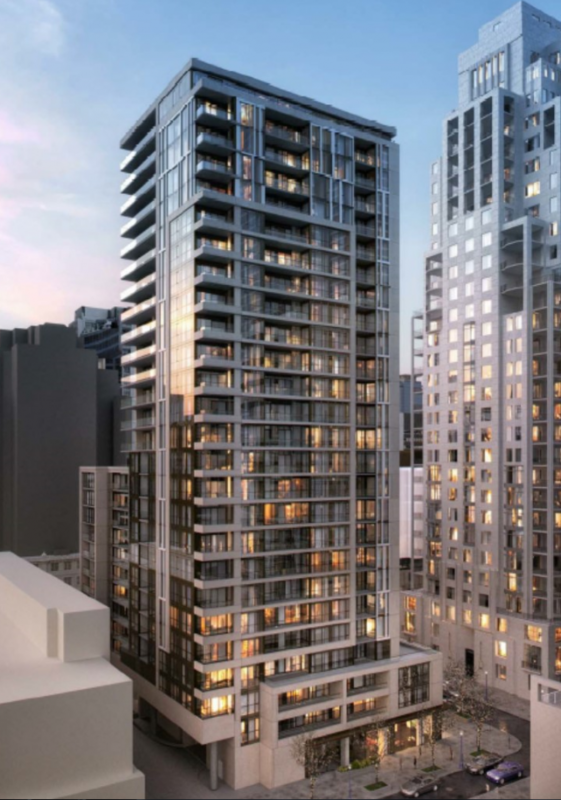 Situated at the intersection of St. Thomas and Charles streets, the $130-million building’s 11 and 26-storey volumes will contain a combined 251 rental apartments. Designed with a number of efficiency features, the building is targeting a LEED® Silver designation. 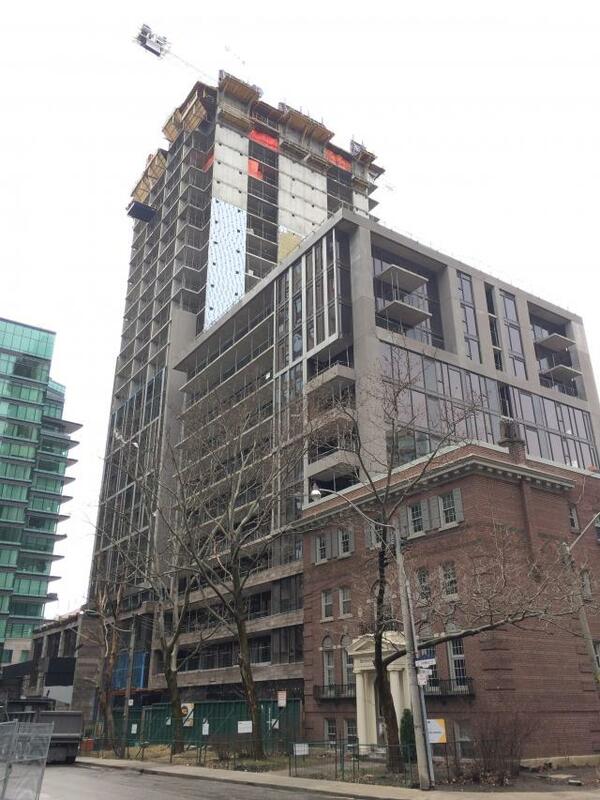 Meanwhile, installation of the building’s exterior envelope continues to progress up the tower elevations. The building’s four-storey podium has been clad in a limestone finish, while the tower features a darkly tinted window wall system with dark grey aluminum spandrel panels and mullions, with occasional white precast strips as accents. Occupancy for the project is currently anticipated to begin in late Fall, with an early reservation program being put in place to offer preferred floor plans and suites. In July, a leasing gallery will open in the ground floor of the building, where potential tenants can look over examples of the building’s fixtures and finishes. 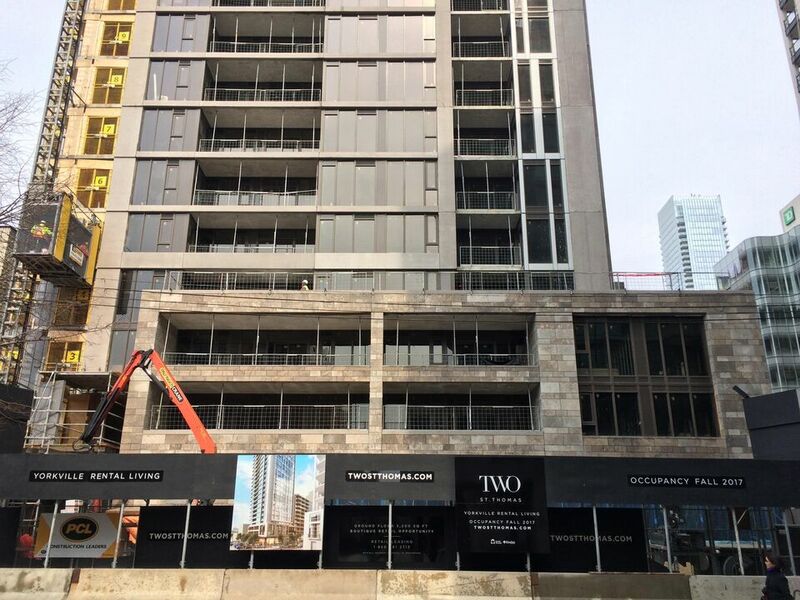 Upon completion, the building will be managed by Bentall Kennedy Residential Services, and will offer a selection of residential amenities including a 24-hour concierge service, a lounge, a fitness centre, and a rooftop amenity space with west-facing city views.